I knew by the end of the first page, I was in trouble. The prickling in my heart that I've come to know as the Holy Spirit's conviction started bearing down on me. I have terrible consumerism habits. Exhibit A: The morning I started reading the book, I had just bought three pairs of shorts online. I had planned on getting two, but if I bought a third pair, I got free shipping. So I bought three pairs of shorts. 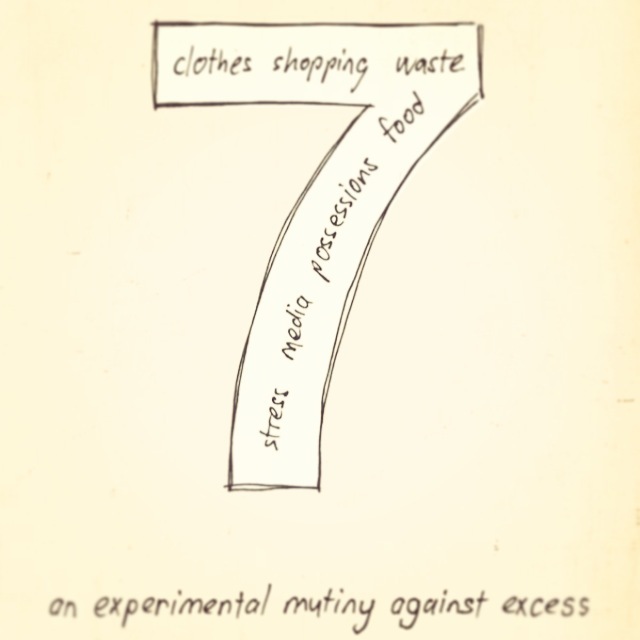 7 by Jen Hatmaker made me confront my habits of consumerism that constantly tell me I need more. Habits I justified because most of my wardrobe comes from Target, Forever 21, and now the new H&M in Nashville. People, I'm not sporting haute couture on a daily basis. See! I'm not spending lavishly, everything is good, right? Our words (and actions) come from the state of our heart and they show our character. Therefore, my battle caused me to constantly want things, all sorts of things: shiny things, colorful things, things I try to fill my life with that don't satisfy. I am guilty of make pretend shopping lists. Lists that include owning ever color of 5" khaki shorts from Old Navy, shoes from Target in 3 more colors when I already own 2 pair, and there's always one (or five) more dresses that could be added to my wardrobe. I may not already own these things, but the intent of my heart is what matters. I am grateful that 7 really shook my heart up. Especially when I got to the chapter on giving up possessions. My emotions flitted between sheer panic of God calling me to let go of worldly possessions to embrace Him and crying as I read Jen's experience with the homeless on Easter and a six year old little girl named Nene that got one of her handbags. I was tore up. For those that don't speak Southern, I was wrecked and completely convicted about what I place my priorities in. I have a closet full of beautiful clothes, yet I still want more. Maybe it's time to reflect redefine needs, wants, and the looming "must-haves" list. Instead of wanting it all, my satisfaction might rely on contentment with what I already own. Beyond my own experience with the book, I also would say that 7 is a great introduction to the concept of fasting. In the circles I grew up in, there was little to no talk about this very Biblical topic, and Jen's book does a great job of explaining beyond "you should do it because Jesus mentioned it." Not only does she talk about it, she spends seven months fasting in a variety of ways, theory and application at its best. 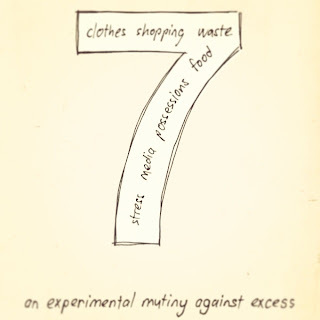 If you're looking for a book that shares truth and causes you to consider exactly how you spend your time, money, and resources 7: An Experimental Mutiny Against Excess is the perfect next read.